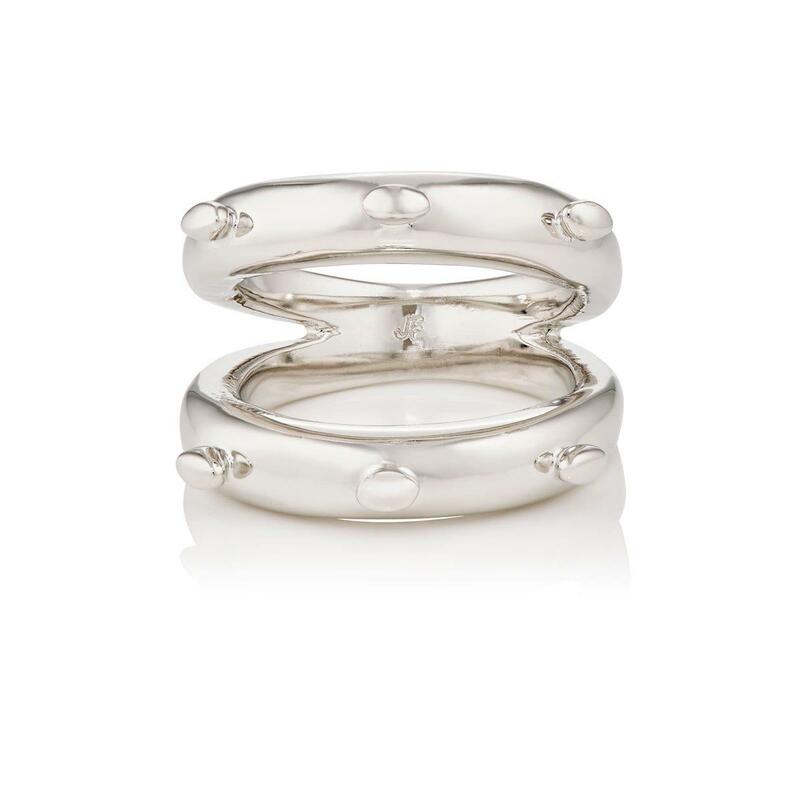 See more Jennifer Fisher Rings. We check over 450 stores daily and we last saw this product for $209 at Barneys Warehouse. 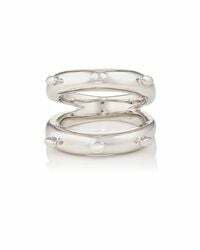 Crafted of polished silver-plated brass, Jennifer Fisher's Organic Stud ring splits at the face into two bands detailed with petite oval studs. Polished, rhodium-finished, silver-plated brass. 5.00mm band width, 1.75cm face width (approximately). Size 7.